"Families are tied together with heart Strings..."
Hi everyone! Adora here to share my own twist creating with the Oct-Club Q, Option A kit!! You are going to love this kit, I'm really sold with the blue and the brown together but wait till you get the entire collection! 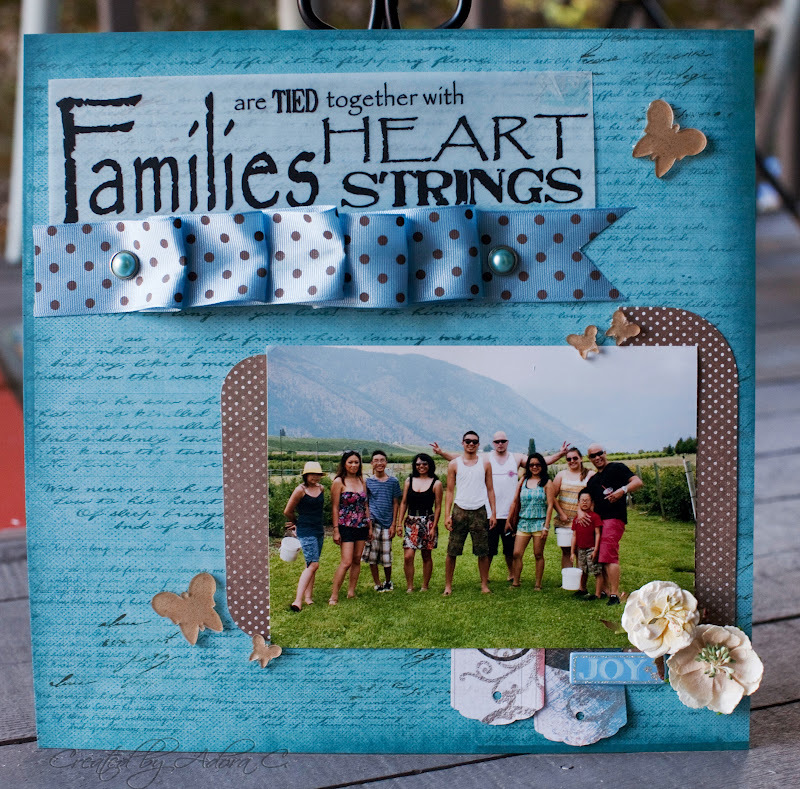 : ) This collections is so versatile, as you can see on this first layout, I used it to scrap this photo of my big family which was taken during the summertime. Thanks for stopping by and checking us out here at Quick Quotes!!! Great job on your layouts! I do like those color combinations. Looking forward to getting my kit. Wonderful Layouts and the colors are awesome. Good looking faily too! Thanks for the inspiration. Beautiful layouts! I love the stitching on the second one! Like the ruffled ribbon placement. Like the butterflies. Thanks for wonderful giveaway chance.